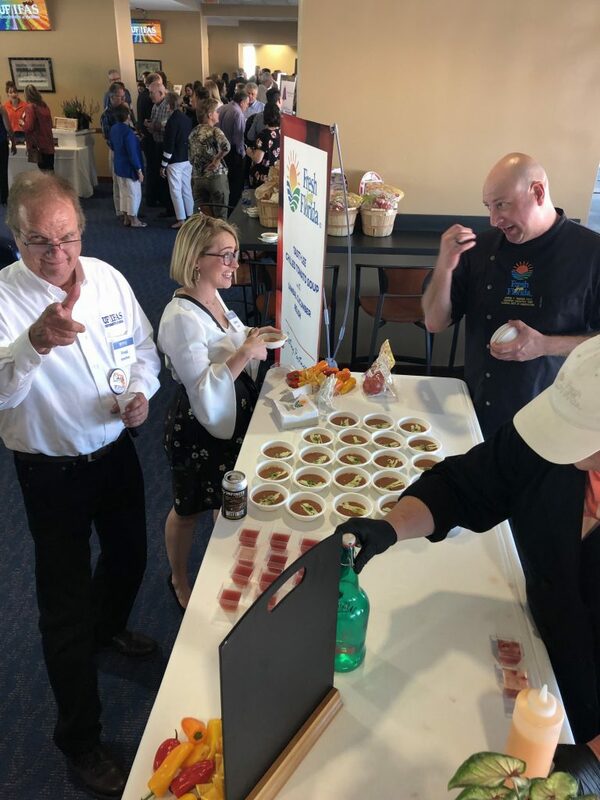 AgNet Media’s Abbey Taylor gushing over the Fresh From Florida Chef’s creation, while Fred Gmitter, UF citrus breeder, plays along. 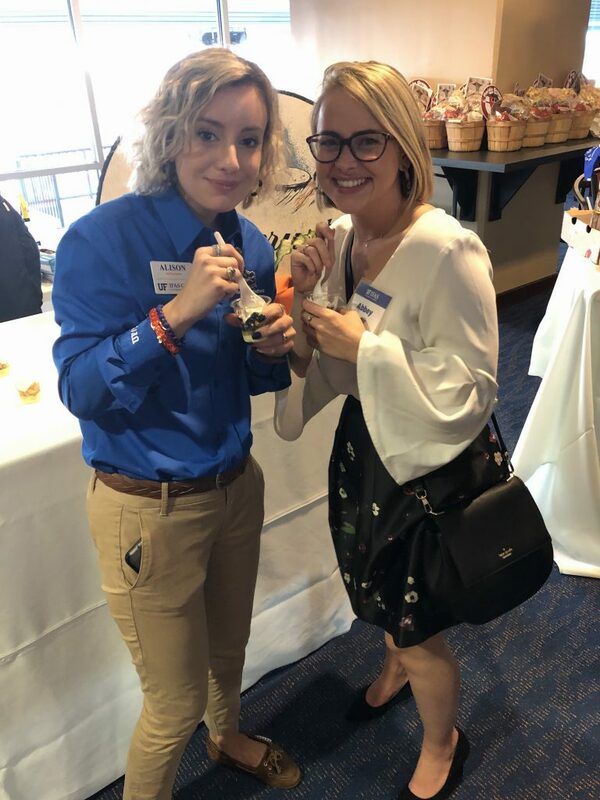 AgNet Media Intern Alison DeLoach (left) and Abbey Taylor enjoy yogurt parfaits. 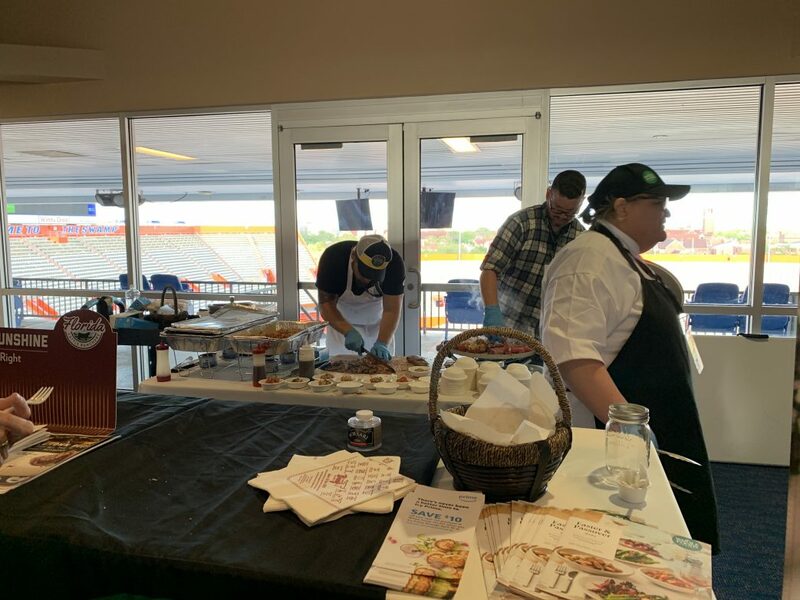 Every year, the University of Florida Institute of Food and Agricultural Sciences (UF/IFAS) welcomes agriculture industry leaders to the UF campus in Gainesville to experience Flavors of Florida. 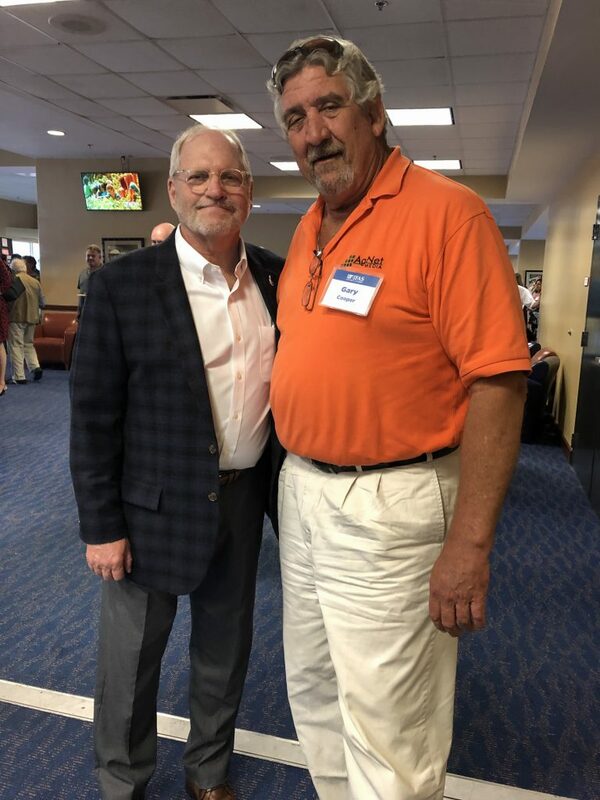 The annual event took place on April 11 in the Champions Club overlooking Ben Hill Griffin Stadium. The event kicked off with some short comments from Jack Payne, UF/IFAS senior vice president, and Elaine Turner, UF’s College of Agricultural and Life Sciences dean. Attendees also heard from Anna Prizzia, UF/IFAS program director and campus food systems coordinator. Prizzia works with the UF Field and Fork Campus Food Program. The Alan and Cathy Hitchcock Field and Fork pantry helps those in need in the campus community gain access to nutritious foods. All proceeds from Flavors of Florida go toward the Field and Fork program. 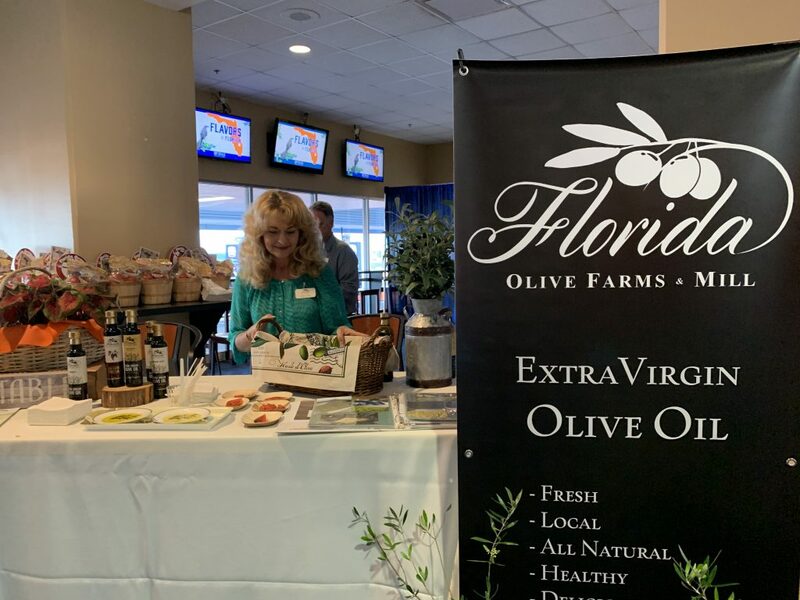 Following opening remarks, attendees networked with key Florida agriculture players and UF/IFAS researchers, who have had a hand in creating some of the food products available at the event. Local Gainesville bars and eateries had tables, along with Fresh From Florida Executive Chef Justin Timineri and several other Florida-based bars and restaurants. Attendees sampled foods and drinks at each table. Each sample used Florida-grown ingredients. 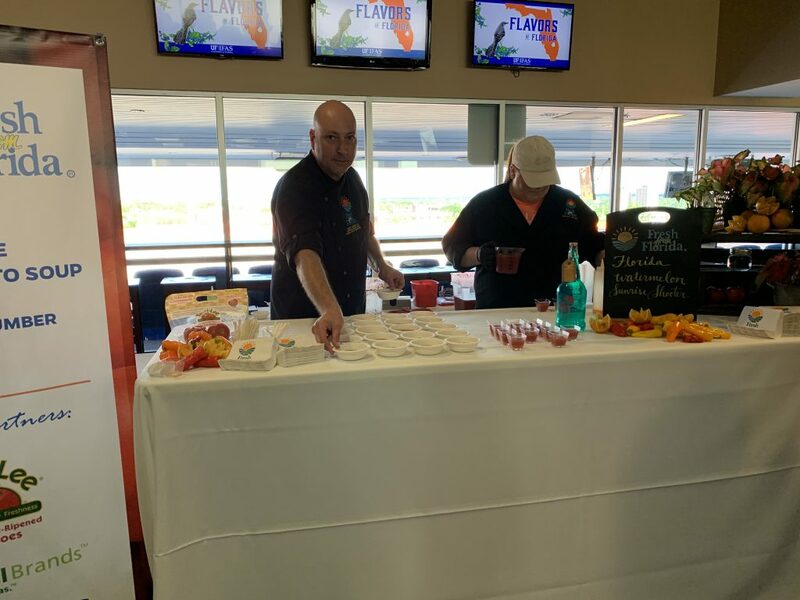 At many tables, the fruit used in the drinks or dishes were the newest varieties from UF/IFAS breeding programs. Some food highlights at the event were Fresh From Florida beef, which was cooked to perfection. Sugar Belle, a UF/IFAS citrus variety, made a splash at the event. Attendees enjoyed Sugar Belle juice and a cake made with Sugar Belle curd in the middle. Yogurt parfaits with fresh blueberries and peaches were a big hit as well. Finally, 3 Daughters Brewery of St. Petersburg gave samples of beer made with hops grown at the UF/IFAS Gulf Coast Research and Education Center. The name of the beverage, “That’s Deng Good,” is aptly named after Zhanao Deng, one of the researchers spearheading the hops project. 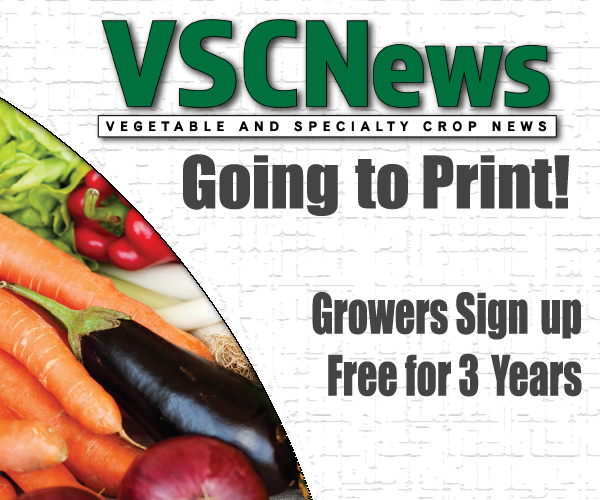 Learn more about Flavors of Florida and the Field and Fork Campus Food Program here.